The United States has some of the best publicly filtered water in the world, but that doesn’t mean that our system is perfect. In fact, our infrastructure here in the US is outdated and needs a major overhaul. There are several reasons for this, including a growing and spreading population that requires more pipelines to be built in new areas. There’s also a lifespan for the pipes that already exist across thousands of miles underground. For many areas, that lifespan is coming to an end, and all of these pipes will have to be replaced sooner or later. If we don’t replace the water pipelines soon, work may only get done once they start completely breaking down and failing. While this seems like something that should be easy to do, there are over 100 million miles of pipes running underground all over the United States, and not enough money allocated to undertake such a massive infrastructure project. One only has to look at Flint, Michigan to see how slowly such work gets accomplished, even when the conditions are hazardous to the health of the surrounding population and the problem is in the public eye. 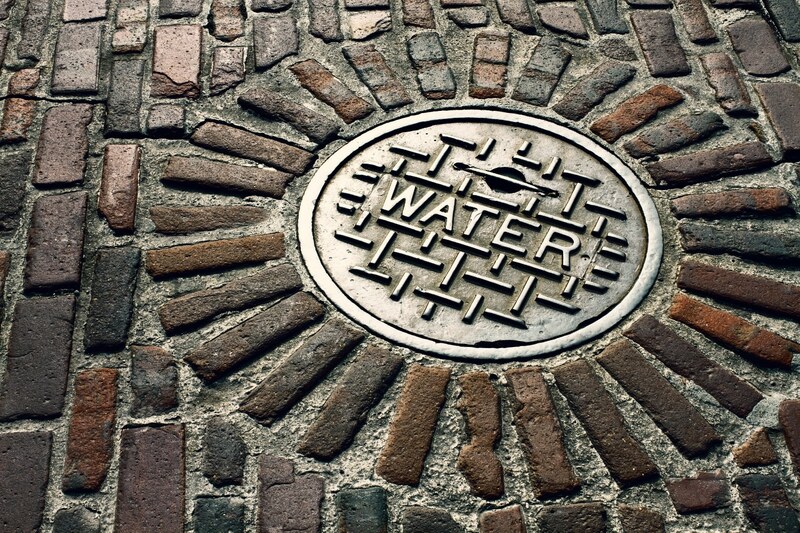 Over 100 million miles of pipes running under the United States is a huge foundation for our water system. What would completely replacing this cost, and who would ultimately pay for it? Would it be worth it? These are just a few questions that arise when talking about replacing the aging water infrastructure. If the goal is just to maintain the system and expand to accommodate a growing population, it could cost around $1 trillion over the next 25 years. However, if this project continues to get delayed, it will just get worse and end up costing even more money. Delaying could cause water service disruptions, dangerous contaminations, and increased cost in emergency repairs. When we eventually get around to replacing the water infrastructure, the cost will have to be offset somehow. No city or state government has the kind of extra money sitting around that's necessary to replace all of the aging pipelines. Likely, the cost will come from higher payments over time from every person who has a water bill. This amount would depend on each community and their geographical areas. This means that some areas that are growing in population could see a significantly increased water bill. Areas like these would have to find some way to soften this cost within their communities. We’re quickly coming upon a time when our aging infrastructure will catch up to us, and the problem needs to be addressed. More than a decade ago, a spokesperson from the American Water Works Association (AWWA) announced that the replacement era, when the nation would need to start rebuilding the wastewater and water systems in our communities, would come soon. It seems that that replacement era is upon us, and steps need to start being taken. If replacement of the pipes starts now, it’s projected that it could be completed by 2050, with growth of pipe systems being placed in new and growing areas along the way. While we await the massive replacement project, is there a short-term fix to a seemingly long-term problem? There are a couple of options that could continue providing clean, safe water for our communities in the mean time. The use of water filtration systems in homes and in water treatment plants can keep the water in a safe condition for drinking, cooking, washing, and all the other necessary tasks. Improving the local filtration systems is a very short-term fix for the infrastructure problem, but will keep the country running in the meantime. Using water filters is a good way to ensure that your water is safe as pipes are replaced and updated. This update would best be done by region in small batches. Doing this would put less pressure on regions and easier to manage with supplementary filtration systems. If you’re concerned about the quality of your water with the knowledge that many pipelines are getting older, you should have a water test done. This will let you know if you need to take more steps with home filtration to get the water quality that you want. Replacing the aging water infrastructure is something that will cost each community a lot of money and will take decades to complete. While it will be a difficult and tedious task, with the help of water filtration systems, it will be easier to deal with as it gets completed a small section at a time. No matter how we look at it, the water infrastructure in the United States needs to be updated, and everyone will be better off if it’s completed soon. Speaking of keeping our public waterlines in good condition, check out Advanced Water Solutions’ blog detailing what you shouldn’t rinse down the drain. Some of the substances may surprise you!